What are CBD hemp farming futures? 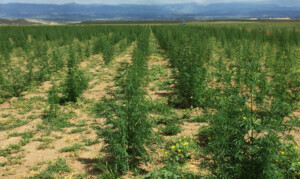 CBD hemp farming futures are contracts between an established company looking to secure a purchase crop of CBD hemp biomass. It is essentially a contract between buyer and seller before the hemp has been grown or finished growing. This is beneficial for both parties as the buyer can secure the crop beforehand and it limits the risk to the hemp farmer. For this, reason hemp futures are a great way for an aspiring farmer to enter the market. It can also give the established farmer confidence and let them focus on growing hemp. The contract can be structured in many different ways under different clauses and terms suitable to both parties. With hemp futures, buyers can secure their supply for the next year and get a much cheaper price. Farmers can secure their orders and cash flow so they can focus on the future season. For these reasons these farming contracts are a win-win for the buyer and seller. Why use hemp future contacts? If you are a hemp farmer looking for a hemp future contract, it is best to work with an established company who can confidently buy and sell in high volumes on the best terms. There are several types of companies that would be interested in futures contracts such as, CBD extraction/processing companies. The best bet for the best terms is to contact a company that buys and sells a lot of biomass. Here at IHF LLC, we offer the best hemp futures farming contracts. If you are a farmer looking for a contract please reach out to us and we will negotiate the best terms. IHF LLC works with many large companies who buy and sell biomass, we can quickly offer the best hemp future contracts for CBD biomass. Please contact us. The other main reason for using hemp futures contracts is to lock in supply under specific terms. 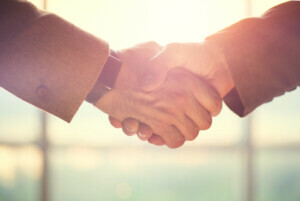 These terms can be negotiated by the buyer and seller. For example, the buyer may want a specific strain or type of hemp biomass produced. They may want a specific strain or only want the hemp flower. The farmer may also want their own terms involved that will limit their risk. Hemp futures can be set for any length or quota. Some contracts may be in length of time (seasons, years etc.) others can be a one-time or annual quota contract. A contract can range from a season too many years. The high flexibility of hemp futures contracts makes them ideal for both the buyer and farmer. One party may want specific terms that will benefit them. In this way, the two parties can negotiate the most favourable terms that will suit them best. For instance, a farmer may want structure the deal where a specific amount of acres/fields of his crop is dedicated to the contract, however, if he has a bad season, he may not add a specific quota requirement. On the other hand, another farmer may be confident in his season and go into the contract by quota, not by the acre. How the hemp future farming contract is structured is really up to the minds of the farmer and buyer. IHF LLC can hemp explain hemp farming futures and suggest the best and most favorable terms for a specific farmer. Please contact us now to learn more. This is by far the most common type of hemp farming contract. CBD hemp biomass has a high demand so futures are fairly easy to get secured for farmers. The issue is finding the most favorable terms. IHF can help with the best hemp futures contract terms. Please call us at 11111 to learn more. This is another common type of hemp farming contract. The CBD flower is usually grown earlier in the season. CBD hemp flower can produce medical grade CBD and has a high demand also. A farmer should work with an expert to ensure they get the best hemp farming future terms for CBD hemp flower. Industrial hemp harvest can also be termed in the contract. Industrial hemp can be used to produce CBD but the above two types are preferred. With this said, these types of contracts can also be secured. It is important that the farmer works with an expert like IHF to determine the best type of farming contract terms to secure. IHF LLC is an expert in the hemp futures and offtake contract market. We grow our own hemp and extract our own CBD. We work with multi-million and multi-billion dollar buyers of our hemp biomass. We have helped many farmers secure the best terms and prices on our contracts. We usually make the contract direct with the farmer depending on the type of biomass and terms of the agreement. We are a professional farming and cbd extraction company who has connections with top CBD processing and extraction companies. If you are interested to learn more about our hemp farming contracts available, please contact us.